There is absolutely no denying that Nigeria’s fast food industry is lucrative, a marked evidence being how new entries spring up almost on a monthly basis in cities around the country. With each new entry, competition heightens, making it the survival of the fittest as fast food restaurants compete for customers’ attention. Eateries are now trying out of the box menus such as healthy veggie recipes and implementing tactics around digital like easy online payment integration, to heighten customers’ experiences. In today’s market, gaining customer loyalty is very critical to the success or decline of any brand. Beyond changes in product, improvement in services or aggressive advertising campaigns, innovating in areas specific to customers’ experiences with different touchpoints is one way for brands in this industry to gain their customer’s hearts (and wallets). 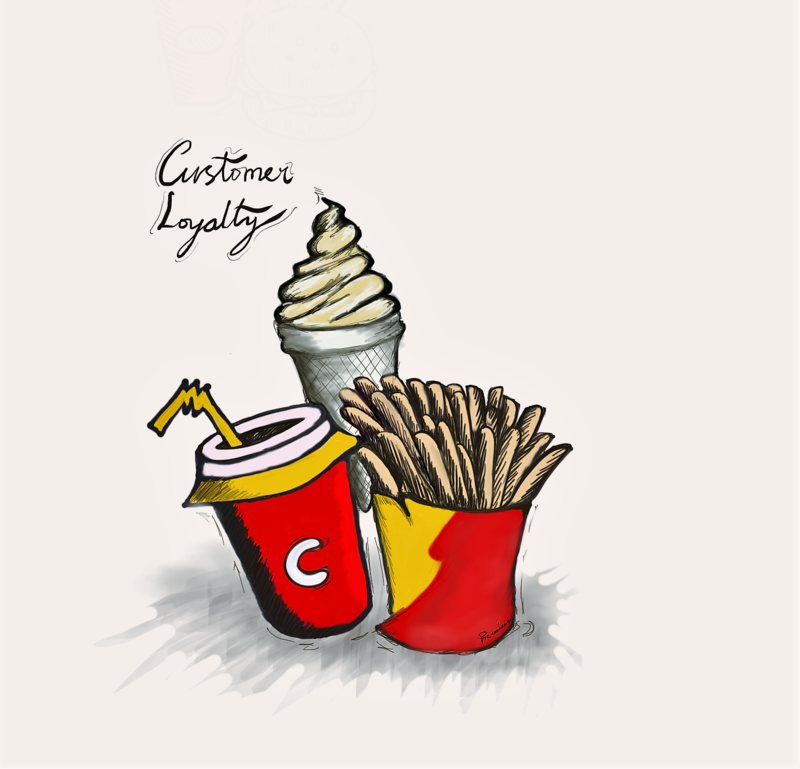 We’re sharing some actionable and novel ways fast foods can strengthen customer loyalty. Digital is redefining how consumers engage with brands and how brands interact with their customers at every stage of the customer experience. Waiting in line for one’s food is most of the time, not a pleasant customer experience, but there are innovative ways to make it more exciting for customers. 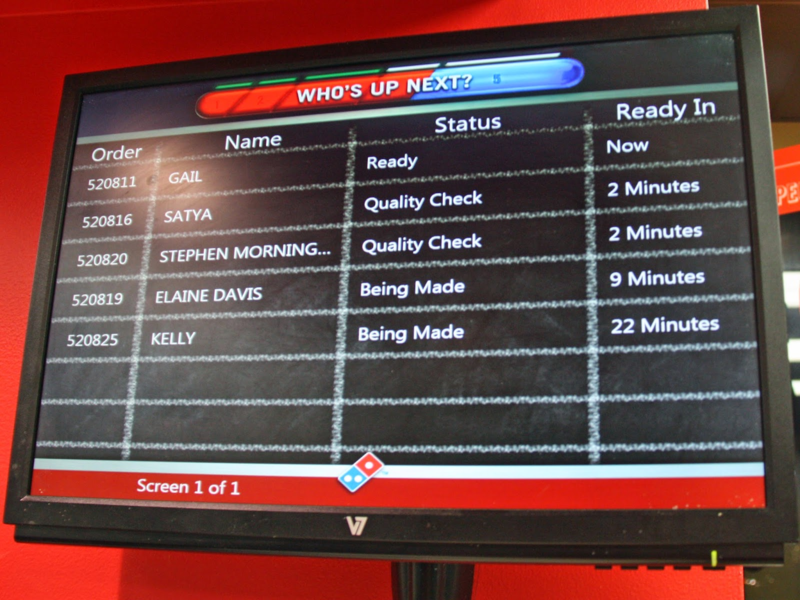 Dominoes Pizza, for example, implemented a tracker, that shows customers their names on TV screens, as it moves up the line. With this smart move, Dominoes Pizza has addressed customers pain point of waiting, as seeing their names move up the screen helps seemingly reduce customers waiting time, while at the same time adding an interesting activity while they wait. A question eateries can ask is, how can we increase customer engagement and better brand experience through the extra idle time customers spend with us as they wait for their food? Anyone that has ever played Candy Crush Soda Saga will tell you that emotion that comes from acquiring 10,000 points to win a rare gem is nothing short of euphoria. Gamifying the process and rewarding customers as they make purchases will no doubt lead to similar experiences. With this reward system, customers are encouraged to keep coming. When you pair such a loyalty program with your business, you create a rich customer experience and nurture a room for repeat business. In April 2016, Starbucks launched a loyalty reward program that allowed customers to earn stars based on the amount of money they spent at Starbucks. With this program, customers have rewarded 2 stars for every dollar spent on any drink, food, or other item purchased at Starbucks. The more money they spend, the more stars they earn. This loyalty program has been one of Starbuck’s most successful customer loyalty and retention strategies. 3. Customer Relationship Management (CRM) Software. Businesses today are increasingly focusing on CRM. Why? Because in this customer-centric age, understanding your customer is paramount. Nigerian fast food businesses can easily join the bandwagon, using this tool to find out what their customers are asking for to be able to better satisfy them. i. Pull customer feedback along with other mediums such as social media channels. This would, in turn, provide segmented real-time report analysis, which would help fast-food restaurants implement better strategies based on the feedback acquired by the CRM software. ii. To offer seamless communication that strengthens customer relationships through a variety of mediums such as SMS or emails, messaging apps and more. There is a myriad of ways to better customer experiences with the aim of increasing the number of repeat purchases. Jumping off these 2 key factors: Leveraging from your brand’s unique value proposition and understanding your customer needs. You can increase customer engagement, and customer loyalty significantly. Is your fast food concerned with increasing customer loyalty and remaining competitive in the coming years? DODO partners with businesses to develop strategies that provide value for their customers. Reach out to us at hello@dodo.ng for more information. Get this free tool to ensure your brand’s unique value proposition is on point and positioned to meet customers’ actual needs. I love the digital space and love helping businesses grow online.